Our Staff - Developmental Pediatrics - Where little steps lead to GREAT feats! Where little steps lead to GREAT feats! Developmental Pediatrics was the vision of physical therapist Lily Frasch, PT, C/NDT. She recieved her BA in Biology and Chemistry from Hope College in Holland MI and her graduate degree in Physical Therapy at the College of Physicians and Surgeons of Columbia University in New York City. Ms. Frasch was a founder of developmental intervention programs in the Neonatal Intensive Care Nurseries and the Pediatric Intensive Care Unit at Memorial Hospital (currently Children’s Hospital) in Colorado Springs. She completed her training and certification in Neurodevelopmental Treatment (NDT) as well as completion of the Advanced Infant Neurodevelopmental Treatment. In 1994 she wrote and produced a 13 part television series for PBS on infant and child development and therapeutic intervention entitled,”A Step Ahead”, which won the Colorado Broadcasters Award for Best Children’s Programming. In 2014, Ms. Frasch was presented with the Hope Award by the Cerebral Palsy Association of the Pikes Peak Region for her lifetime dedication and service to the children and families with special needs. 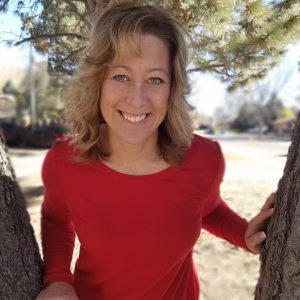 Kimi Bengochea, PT, DPT received her Doctorate of Physical Therapy from Regis University in 2018 and a Bachelors of Science in Exercise Science from The University of Mississippi in 2014. She is an active member of the APTA’s Academy of Pediatric Therapy. She is a certified kid’s yoga teacher who enjoys creatively incorporating yoga practices into her therapy sessions. Her last two clinical rotations were Children’s Healthcare of Atlanta and the Anchor Center for Blind Children. Kimi is an energetic therapist eager to heal and learn. Betsy completed her Masters of Health Science in Physical Therapy at the Medical University of South Carolina and became board certified in 2003. Betsy’s pediatric experience includes a variety of settings – acute care, in- & out-patient rehabilitation, private out-patient clinics, home-based Early Intervention, school systems, horse therapy, and aquatic therapy. She enjoys working with children of all ages and ability levels and has experience treating many diagnoses including, but not limited to, cerebral palsy, torticollis, spina bifida, Down’s syndrome, and a variety of metabolic/genetic disorders as well as rehabilitation post selective dorsal rhizotomy. Post-graduation education has included neurodevelopmental training (NDT), pediatric vestibular treatment, spasticity management, pediatric orthotics and prosthetic care, and proper selection and fit of durable medical equipment. For several years, Betsy participated as a clinical instructor in Elon University’s Partners in Anatomy program, teaching for several hours per month with PT students in the cadaver lab. She is also credentialed with the American Physical Therapy Association as a clinical instructor. 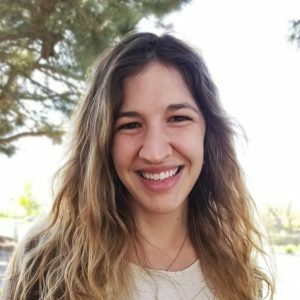 Lauren Montfort, PT, DPT received her Bachelors of Science in Health Sciences with a minor in Psychology at Nazareth College in 2015, and her Doctorate of Physical Therapy (DPT) at Nazareth College in May 2017. 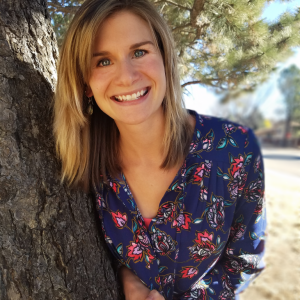 Highly interested in pediatrics throughout graduate school, Lauren elected to participate in leading a Pediatric Yoga Clinic where she worked with a group of children with an array of developmental disabilities alongside other PTs and OTs. She also participated in leading a group, pediatric Wellness Clinic focusing on health promotion and recreation with teenagers with Autism and Cerebral Palsy. During her final year of graduate school, Lauren participated in the year long, Leadership Education in Neurodevelopmental Disabilities (LEND) interdisciplinary, pediatric fellowship at the University of Rochester. Lauren loves working with children and their families, and is very passionate about advocating for individuals with disabilities. In her free time, you can find her hiking, doing yoga, and spending time with family and friends. Emily received a Bachelor’s of Art in Liberal Studies from the College of St. Benedict in Minnesota. 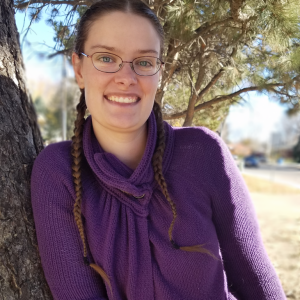 She then received a Bachelor’s of Science in Communication Disorders and Deaf Education from Utah State University and a Master’s of Science in Communication Disorders from Western Kentucky University. Emily is trained in PROMPT and the Beckman Oral Motor Protocol. Emily’s professional interests include language development, articulation development and feeding and swallowing. She enjoys working and collaborating with PTs and OTs to address all of a child’s needs. Emily is a native of Colorado Springs. In her free time Emily enjoys spending time with family, playing with her daughter, reading, knitting, crocheting and hiking. Beth received her undergraduate and graduate degrees in Speech-Language Pathology from Misericordia University in Dallas, PA. While at Misericordia, Beth was an intercollegiate swimmer for four years. She is a native of Colorado Springs and was excited to move back after college. When Beth is not at work, she enjoys going to the gym, teaching TRX suspension training, reading, visiting breweries, cooking, and baking. In the summer, Beth enjoys spending time at the pool and hiking. Beth loves working with children as they develop their communication and feeding skills. One of the best things about working at Developmental Pediatrics is seeing the progress children make across all of the skills that the PTs, OTs, and speech therapists target. Beth loves that she can come to work in any mood and always leave in a better mood, thanks to her clients, their families, and the therapists at Developmental Pediatrics. Jamie received her Bachelor of Arts and Master of Arts degrees, with a major in speech pathology and audiology, from Humboldt State University in Arcata CA. 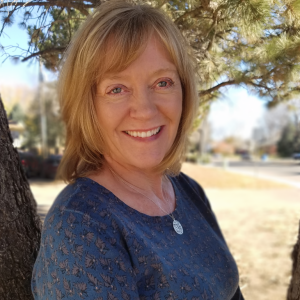 Having retired from the CO Public Schools, Jamie was interested in working in a more clinical environment, with the major focus on individualized therapy services. Jamie enjoys making therapy and learning fun for children, and helping them to grow and become the greatest they can be. She is trained in PROMPT, and has extensive experience and knowledge in language and articulation disorders, autism, and functional communication skills. Jamie enjoys working closely with our OT’s and PT’s, integrating NDT and sensory integration into her treatments. Jamie continues to develop her skills in treating feeding disorders in children. She has two adult sons, a daughter in law, and a precious little grand daughter. Jamie currently resides in Woodland Park with her husband of 32 years. She enjoys hiking, skiing, gardening, good food, fine wines, watching movies, and spending time with family and friends. Colleen Kaipus, OTR/L, C/NDT has been an occupational therapist at Developmental Pediatrics since 1997. 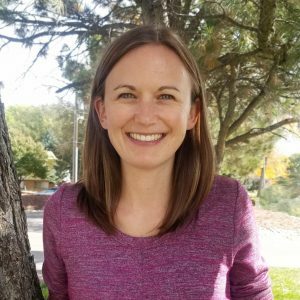 She grew up in Colorado Springs and graduated in 1996 from Colorado State University with a BS in Occupational Therapy (with honors). 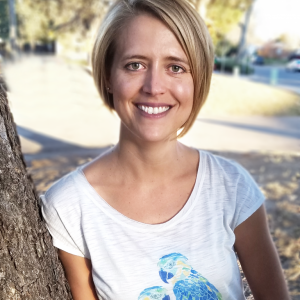 In 2004, Colleen completed the Pediatric Neurodevelopmental Treatment (NDT) certification and followed that with completion of the NDTA Advanced Baby Course in 2013. She is also a trained ILS (Integrated Listening Systems) practitioner. Over the past 20 years, Colleen has completed extensive continuing education in sensory processing disorders and treatment. In addition, Colleen served for a number of years on the board for the Cerebral Palsy Association of Colorado Springs. Colleen is married and has three children. When not attending her kids’ lacrosse games, she enjoys reading, skiing and cooking. Ellie received her Masters of Occupational Therapy from St. Ambrose University in Davenport, IA in June 2017. Ellie also graduated with a Bachelor’s of Science in Exercise Science and Health Promotion from the University of Northern Iowa in 2013. 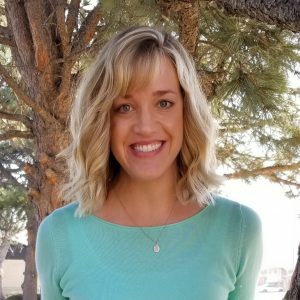 She is passionate about all aspects of Occupational Therapy and is looking forward to furthering her clinical knowledge in neuro-developmental treatment, aquatic therapy, and sensory integration therapy. Ellie completed her occupational therapy fieldwork in both a hospital setting and an outpatient pediatric clinic. She also has experience working with children in summer day camps and through teaching swimming lessons to children of all ages. 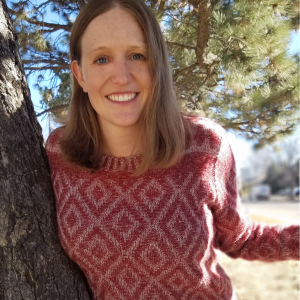 In her free time, Ellie enjoys outdoor activities such as biking and hiking, visiting local restaurants and breweries, farmers markets, and traveling with her husband. Ellie is originally from Iowa and will miss spending time with her family and friends there but is excited to explore all the opportunities Colorado has to offer. She feels lucky to be a part of the Developmental Pediatrics team and work with all of the families here! Melissa graduated from Creighton University in December 2015 with a Doctorate of Occupational Therapy. She started working at Developmental Pediatrics in February of 2016. Melissa has a certification in Integrated Listening Systems and has completed a week-long training for Neurodevelopmental Treatment Principles Related to Babies. 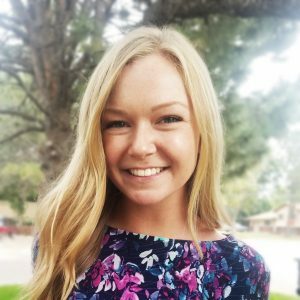 Melissa loves working with children and has interest in Autism, Sensory Processing Disorder, and other unique conditions/cases. Melissa has completed fieldwork in adult and pediatric outpatient settings. She also completed a 16 week long professional rotation looking more deeply into Sensory Processing Disorder, in an outpatient pediatric clinic while creating a program for a sensory room at a local church. Katie received her Masters of Occupational Therapy from Colorado State University. Her passion is working in pediatrics and she has special interests in neurodevelopment and sensory integration. Prior to becoming an occupational therapist, she was a behavior interventionist and provided ABA therapy for children with autism. She always knew she wanted to work in pediatrics and is excited about being a member of the Developmental Pediatrics team. Katie grew up in Colorado in the foothills of Denver. When she is not working, her occupations include reading, walking her dog, and traveling the world. Brittney Deighton is a native of Colorado Springs and graduated from Cheyenne Mountain High School. Brittney enjoys meeting and interacting with new/current patients and working with the inspiring staff here at Developmental Pediatrics. Brittney has previous work experience as a retail manager in various applications from office supplies to big box retailers. 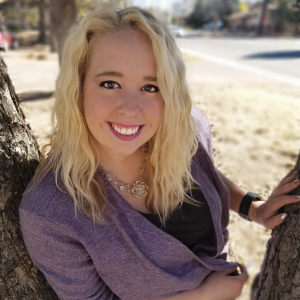 When she is not working she enjoys hiking, camping, working at El Paso County Raceway during the summer, hanging out with friends and enjoying everything the beautiful state of Colorado has to offer.